Utilite™ LED technology. Impact resistant polycarbonate ideal for commercial and residential installations. 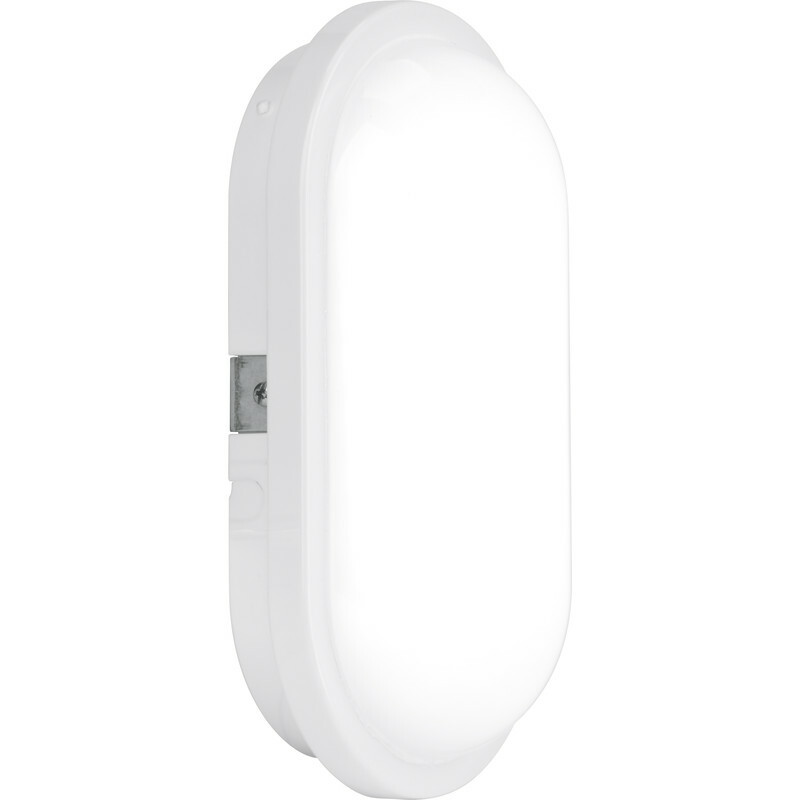 Enlite Utilite LED Oval Polycarbonate IP65 Utility Bulkhead 15W 1250lm A+ is rated 4.1 out of 5 by 9. Rated 4 out of 5 by Davieladd from Decent for the money I bought two of these for an attic lighting job and can recommend these lights for that purpose . The lights are pre flexed with about 6 inches of flex so we had to open them up to connect longer flex directly to the connections which is easy to do . Rated 5 out of 5 by Cal1 from Great, bright & cheap to run... These lights are brilliant...easy to fit, nice and bright, ideal for our utility/garage. Of course they are also LED so very economical. Reasonable price. Great buy, very pleased! Rated 4 out of 5 by Judged from Very bright Bought a couple of these to illuminate the shower cubicles at my local cricket club. Easy enough to install but the bit of cable already wired in is a complete wast of time. Just removed it and rewired through the cable gland and into the terminal block. Very bright. Rated 1 out of 5 by Geeee from Led Lasted 2 days then chucked it . Took back to the store and had no replacement and had no idea when it would be back in stock ! Poor all round really ! Rated 5 out of 5 by PJH 65 from Fine Looked around for a while and came across this light. Perfect for the job, good light, aesthetically pleasing, would recommend. Rated 5 out of 5 by Dharmabum from Brilliantly bright I bought the bigger 20w version to replace a bare bulb set up on some dingy basement stairs. I was so impressed by the great illumination I bought the 15w version to add further light in the (previously) darker recesses!